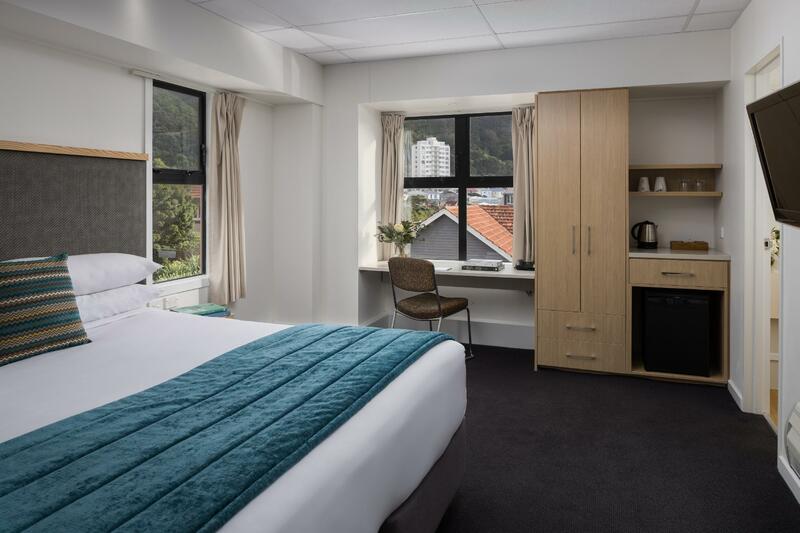 الخيار الأفضل للحصول على المتعة والاسترخاء، The Thorndon Hotel Wellington – by Rydges يقع في منطقة رائجة من أفضل مناطق المدينة. يقع مركز المدينة على بعد 0.5 km فقط. ويمكن الوصول إلى المطار خلال 15 دقيقة. إن سهولة الوصول من الفندق إلى المعالم السياحية الشهيرة الكثيرة في المدينة هو استثنائي بحد ذاته. 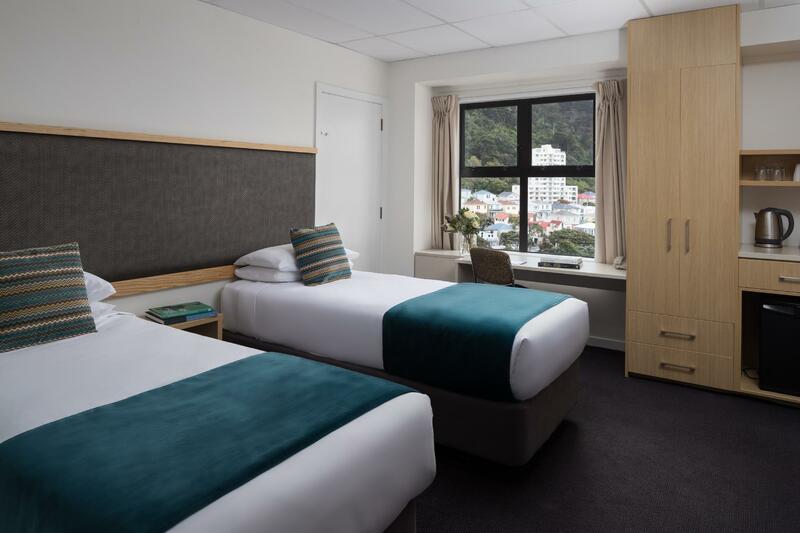 يعمل The Thorndon Hotel Wellington – by Rydges على ضمان إقامة مريحة لضيوفه من خلال خدماته الممتازة وحسن ضيافته. يقدم الفندق واي فاي مجاني في جميع الغرف, خدمة غسيل ذاتية, مكتب الاستقبال على مدار الساعة, مرافق مخصصة لذوي الاحتياجات الخاصة, تسجيل وصول/خروج سريع لضمان الراحة القصوى لضيوفه. في الفندق غرف نوم يتجاوز عددها 108، كلها مجهزة بعناية وجمال وبعضها مزود بـ تلفزيون بشاشة مسطحة, سجاد, قهوة فورية مجانية, شاي مجاني, بياضات. كما أن مجموعة الخدمات الواسعة الموجودة في الفندق لضمان راحتك تترك لك الكثير من الخيارات لقضاء وقتك أثناء فترة إقامتك. 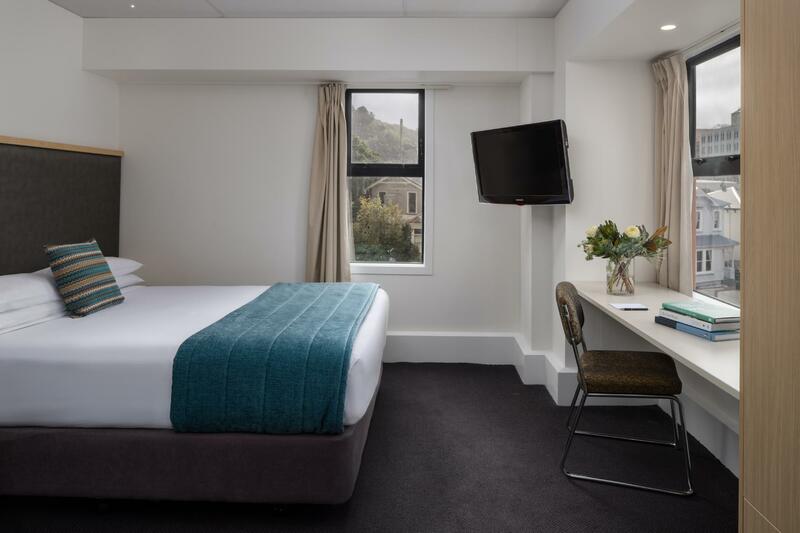 مهما كانت دواعي سفرك فإن The Thorndon Hotel Wellington – by Rydges هو خيار ممتاز لإقامتك في المدينة. I am quite satisfied with my staying. The lobby looks high level. The staff are polite and helpful and my room was clean. I really cannot tell anything bad, but I should be honest that the room didn't look fit to the high grade looking of the other parts, like a backpacker. That doesn't mean it was bad. I enjoyed my staying. REASONABLY PRICED AND CLEAN, GOOD LOCATION. KIND STAFF AND WELL EQUIPPED HOTEL. I WILL COME BACK TO THIS HOTEL IF I VISIT WELLINGTON AGAIN ! PARKING SPACE WAS NOT ENOUGH BUT THERE WERE SOME STREET PARKING PLACE BEFORE 8AM FOLLOWING MORNING. GOOD HOTEL TO RECOMMEND ! I had stayed a week earlier despite some bad reviews and found my room was good and the service was fine. So I decided to stay again and it was just as good. It really is very good value for a weekend stay. When I read some of the earlier reviews I nearly didn't make my booking. But I was really quite surprised how good the place was for the price. Everything was clean, the room wasn't big but not too small either. The weekend price must be close to the best value possible in Wellington. 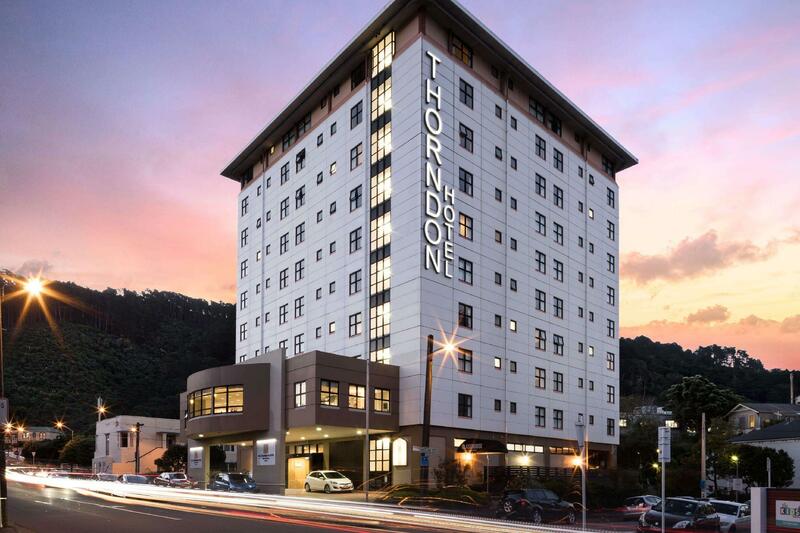 Well located in the city of Wellington. Room was small but is okay. Parking is free of charge should you decide to drive over to Wellington. Receptionist was kind enough to prepare our room since we arrived few hours early. Highly recommended. Small room with 2 queens size bed. Need to walk appx 8-10 min for public transport. 5 min walk to New world supermarket. Staff friendly. In this price category I would expect much more! We particularly chose this hotel because it was listed as not having paid parking, however when we arrived the woman on reception tried to charge us for parking. When your travelling for a long period of time you need to budget. We explained why we had booked, initially she was not very understanding and was quite rude but eventually gave our parking for free. The room was basic but clean, however it was very warm and is on a main road so noisy if you open the window. You have pay extra for breakfast. The guy on reception the next morning was unfriendly when we tried to book an extra night but didn’t because the price was almost double! There is a friendly staff memeber from Liverpool though. Nothing special, they've made some renovations so it's a bit more modern than it used to be. For the price it's fine - a bed and a shower. The food in the ground floor restaurant is good and reasonably priced. I have stayed at this hotel on numerous occasions due to its location. It is only 10 minutes walk from the train station, bus station and inter island ferry terminal. A leisurely stroll to the City and harbour side. The location was convenient as next to a supermarket. We hired a car & had no problems with parking as hotel would guarantee us a car park. Daily parking rate was very reasonable at $15 per day. Thorndon is close to Parliament House. We happened to be staying at the Thorndon during the November 2016 earthquake. We truly appreciated the care and kindness of all staff during and after this event. The hotel went beyond expectation in giving guests amazing support and complimentary drinks, meals etc. Staff showed personal concern for our wellbeing. Congratulations Thorndon Hotel staff and management. Within this price range, this is a good option. but not at the city center so if you need to go to Cuba street, you have to walk half an hour or take a taxi. Shower good, internet good, value for money good. If you look for a hotel not to far from center and near to Parliament ( 10 mins walk). This is an acceptable one. It is surely clean and meet the industry standard. 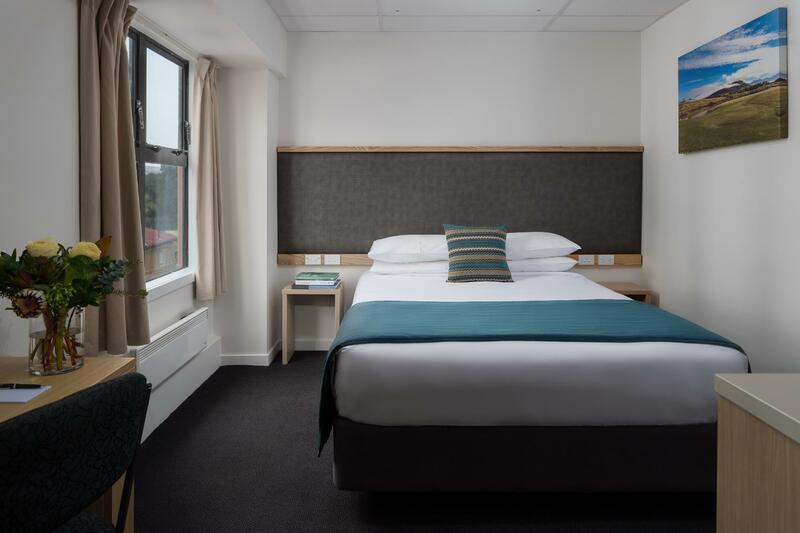 However, staff here and other things is not much proactive and not meet our expectation for a hotel claimed themselves 4 stars and under given price we paid. Me and my husband we enjoyed our stay here. The staff were awesome and the room was clean tidy. 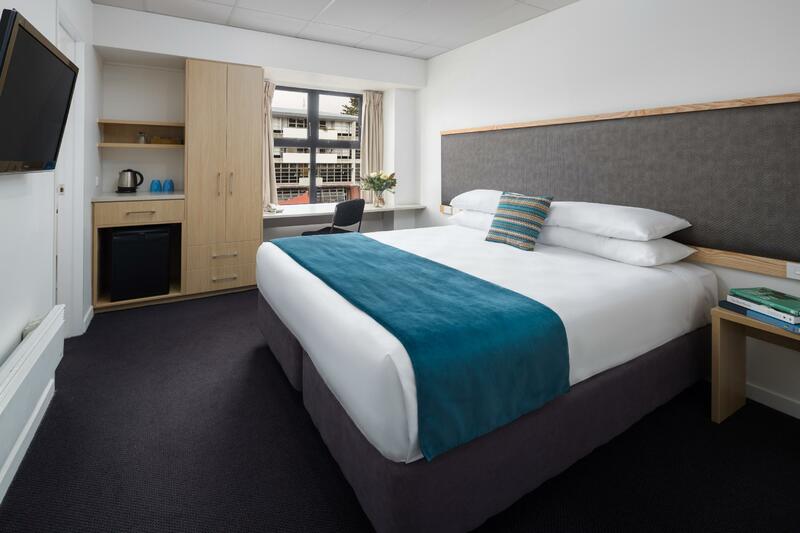 It had everything that we expected and I will come back to this hotel again in my next visit to wellington. This hotel appears to be in the middle of a refit after being taken over by Rydges and it shows. Room service is under resourced. Returning to the room at 5.30p.m. after a full day out on two days, the room had not been cleaned, bed not made or towels replaced and fridge not restocked............you would think a basic requirement of any hotel ?? Furthermore we were woken up by a guest who took it upon themselves to run up and down the (temporary and noisy) stairs at 4.30a.m. - Our room being next to the stairwell. One can only hope that sound proofing is part of the refurbishment programme. When we arrived my wife called to ask whether we have parking.She was rude on the phone and when we arrived we told the reception desk they didn't do anything. When we merged the beds there was dirt under the bed.When we said to clean the room only the towels were chaned. As well as when room was cleaned they didn't refill the tea.Every morning we had to call to get tea bags from the reception. Wouldn't recommend again to stay in this hotel. They offer parking in he basement and out back but over allocate and the basement is a carpenters shop! !